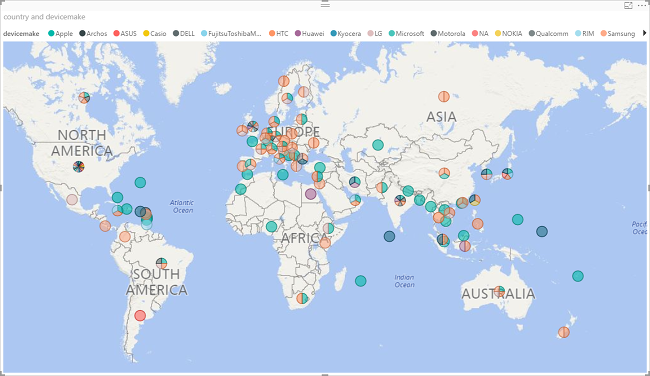 Learn how to connect Microsoft Power BI to Azure HDInsight using ODBC and visualize Apache Hive data. You can leverage the Hive ODBC driver to do import via the generic ODBC connector in Power BI Desktop. However it is not recommended for BI workloads given non-interactive nature of the Hive query engine. HDInsight Interactive Query connector and HDInsight Spark connector are better choices for their performance. The information also applies to the new Interactive Query cluster type. 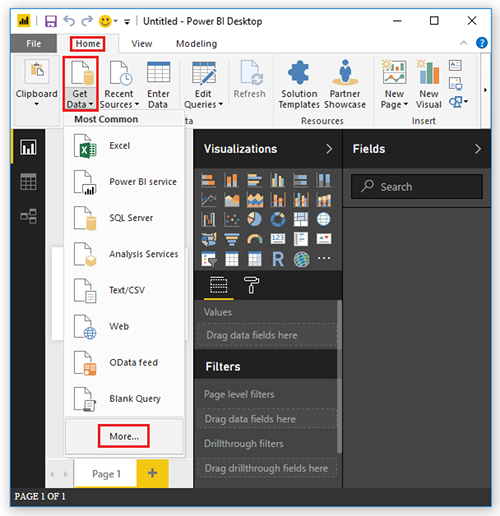 For how to connect to HDInsight Interactive Query using direct query, see Visualize Interactive Query Hive data with Microsoft Power BI using direct query in Azure HDInsight. HDInsight cluster. The cluster can be either a HDInsight cluster with Hive or a newly released Interactive Query cluster. For creating clusters, see Create cluster. Microsoft Power BI Desktop. You can download a copy from the Microsoft Download Center. See Create Hive ODBC data source. The hivesampletable Hive table comes with all HDInsight clusters. Sign in to Power BI Desktop. Click the Home tab, click Get Data from the External data ribbon, and then select More. From the Get Data pane, click Other from the left, click ODBC from the right, and then click Connect on the bottom. From the From ODBC pane, select the data source name you created in the last section, and then click OK.
From the Navigator pane, expand ODBC->HIVE->default, select hivesampletable, and then click Load. Continue from the last procedure. From the Visualizations pane, select Map. It is a globe icon. 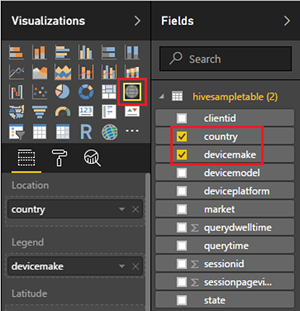 From the Fields pane, select country and devicemake. You can see the data plotted on the map. Use Apache Zeppelin to run Apache Hive queries in Azure HDInsight. Connect Excel to HDInsight with the Microsoft Hive ODBC Driver. Connect Excel to Apache Hadoop by using Power Query. Connect to Azure HDInsight and run Apache Hive queries using Data Lake Tools for Visual Studio. Use Azure HDInsight Tool for Visual Studio Code.